It’s been a great couple of day so far, and Wii U news and opinions have been trickling in almost as much as the Skyward Sword opinions have been. To be fair, I don’t think we’ve really given Wii U enough attention, though a lot of that is because we wont go hands on with it until Thursday. So, it’s time we sat back and brought you all the Wii U news and features in one place, that way you don’t have to scramble through our 80+ news posts to find the information you’re looking for. Oh don’t worry Zelda fans, we’ve got a similar piece in the works for Skyward Sword as well. Size: 1.8 inches tall, 6.8 inches wide, and 10.5 inches long. New Controller: Incorporates a 6.2inch touch screen (singly touch, not multi touch), and traditional button controls including two analog circle pads. It has 4 shoulder buttons altogether, with the bottom ones on each side being labeled as “z” buttons. The controller includes it’s own rechargeable battery and is able to stream all games from the console to the screen itself. It includes a ton of TBA features, such as the ability to draw on it like a tablet, and transfer data from the controller to the big screen instantly. Other Controls: Supports up to 4 Wii Remotes and all Wii peripherals. Allows for a total of 5 controllers at one time, as 4 Wii Motes can work with one Wii U controller. Media: A single self loading bay that can play 12-centimeter high-density optical discs, and the 12-centimeter Wii optical discs. No GCN disc support is included. Video: Supports 1080p, 1080i, and all other HD out puts below that down to 480i. Supports HDMI and composite/component cables. No details in specific yet on the gpu, but ATI reports it’s a Radeon HD model. Audio: Av multi out connecter, or the 6 channel PCM linear output available through HDMI. Storage: Internal flash memory, though the total amount isn’t known. You are able to extend the amount of storage space with a SD card, and through a USB capable Hard Drive. Yes, this means external hard drives are compatible with the system. CPU: IBM Powered multi-core microprocessor. They amount of cores and speed is not known at this time. Other: 4 USB ports are included, and the system is fully backwards compatible with all Wii games. Grant it, a lot of the games will be ports that may have come out the previous holiday season (if this is a early 2012 console), but it’s possible the Wii U will get the superior version. We do not know the capabilities of the graphics, so it is still possible it is more powerful than the PS3, and with the new controls and being able to move a lot of actions and hud fluff off of the main screen, it could really improve the game experience. That could make the Wii U games the must have versions of each game. Obviously once the console is out, it wont be lagging behind with future 3rd party titles. We are told that Nintendo’s online system incorporates everything you get on the competitor’s systems. This would include an extensive online network featuring profiles, match making, DLC capabilities, and likely a feature we thought may never arrive: Achievements. Grant it, this is all “unconfirmed” and based entirely on one statement by Reggie that “Wii U has all of that.” We were promised more details about the online as E3 moves on, but as of 1pm central today, we have not received any new information about online. Rest assured though, since EA came on stage and “sort of” confirmed that Nintendo has a great online network experience. Here is hoping they reveal more in the coming days. 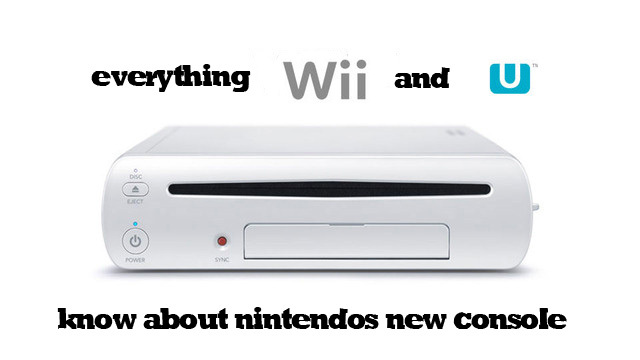 Wii U has impressed almost every major 3rd party developer that has touched it, and many are excited. We saw the same sort of excitement with the 3DS however, so what we have coming is unknown outside of the above game list. However, it’s important to note this support level, as bare minimum Wii U should get top tier ports of all the major multi console games. Support for 3rd party exclusives to the Wii U will naturally depend on console sales, and how well the multi platform stuff sells.